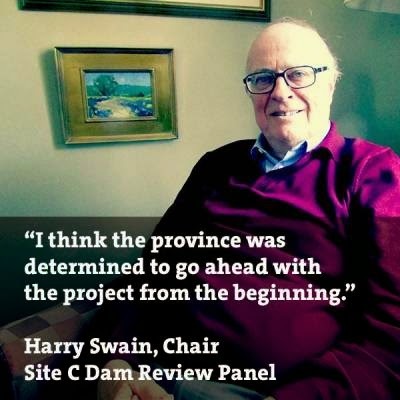 A few days ago DeSmog.ca published an interview with Harry Swain, Chair of Joint Review Panel on the Site-C Dam mega-project His candor in the two part interview [part 1 and part 2] undoubtedly means he'll never be on another government review panel. In the interview Swain condemns both the pre-conditions imposed on the panel from the outset and how the BC government ignored the recommendations of the review panel saying "I think the province was determined to go ahead with the project from the beginning." 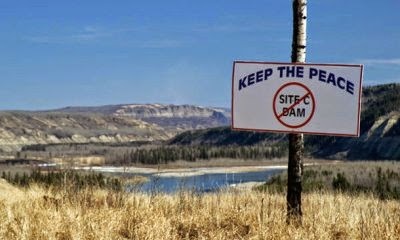 Though to long to reprint here, this important interview covers many of the major points Site-C's opponents have focused on including where Swain describes BC's failure to investigate alternatives to Site C as a "dereliction of duty." He was especially blunt about BC Hydro and their governmental overlords' refusal to conduct the investigations they were ordered 32 years ago by the B.C. Utilities Commission (BCUC). In its recommendations to government, the joint federal-provincial panel said "it had neither the time nor the resources to analyze the costs of the project and couldn't determine whether the dam was needed on the timeline provided. It recommended a review by the B.C. Utilities Commission (BCUC), a body created for exactly this purpose." At that time the BCUC rejected the earlier Site-C proposal saying that BC Hydro hadn't proved BC needed the damn dam and ordered the government to look into other options including geothermal generation which the government refused to do despite all the information they already have on the books from mandated gas exploration operations reportsa. As a result, Canada is now the only country around the Pacific Ring of Fire that does not produce geothermal power at a commercial scale. Considering the financial price tag is now estimated $9 billion, Site C, if it's built, would constitute the largest expenditure of public money in B.C. history it seems obvious that successive governments in BC must have a different agenda than being good stewards. Swain says instead of deferring the project, the government forged ahead in an attempt to capitalize on the "out of sight, out of mind" factor to try to get away with ignoring recommendations made by its own expert panel. Another very important point Swain — who wrote a book on the Oka crisis — made outlined the limitations of the review process as it related to First Nations rights. “They said that we were to catalogue the assertions of First Nations regarding treaty rights and aboriginal rights. But we were not to pass an opinion on them. We were not to say whether consultation had been adequate and so on and forth. If you are forbidden to talk about that, you can not come to a conclusion about the overall project,” Swain said. For his remarkable honesty Harry Swain deserves our thanks. 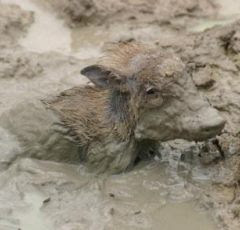 For more information on the damn dam please check out the Peace Valley Environment Association website.